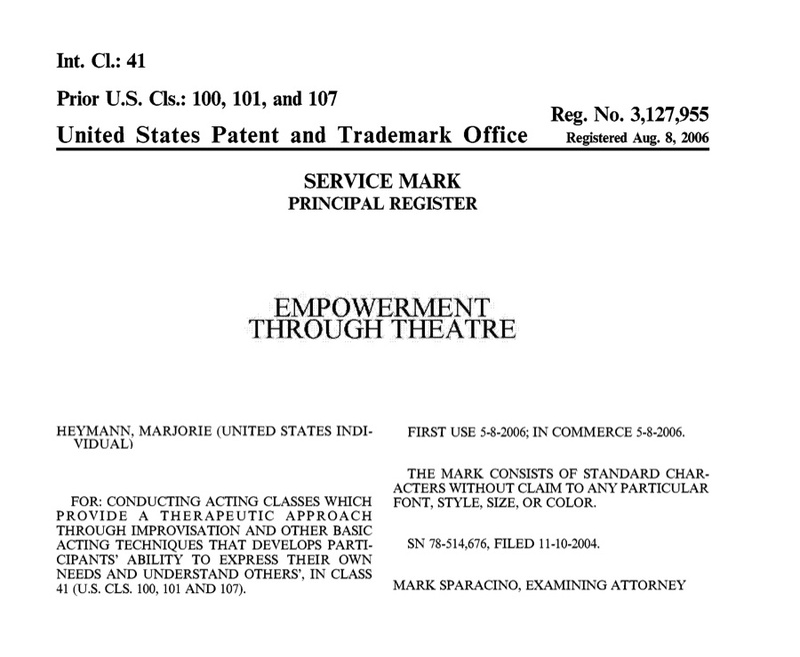 The Empowerment through Theatre® service was granted a U.S. registered service mark (Serial No 785 14676). All ETT™ materials are protected under this service mark, and cannot be reproduced or utilized without expressed written consent of Marjorie Heymann, PhD, BFA. If you are interested in becoming an authorized Empowerment Through Theatre® trainer, please click here for more information.